A compact, athletic stallion with unprecedented jumping talent. 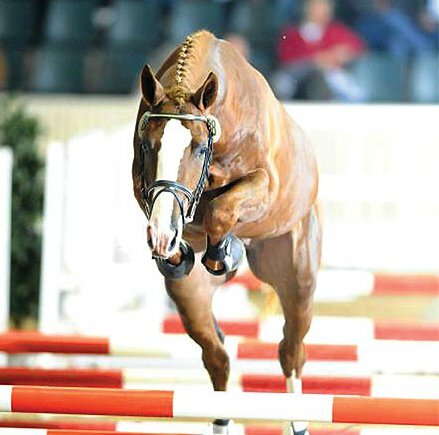 His sire Quidam de Revel was internationally recongnized in the Olymics and multiple Grand Prix wins. 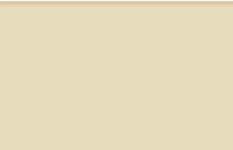 Also, Quel Homme's dam's sire, Contender, has been a sought after German stallion and now has nearly 100 licensed sons. 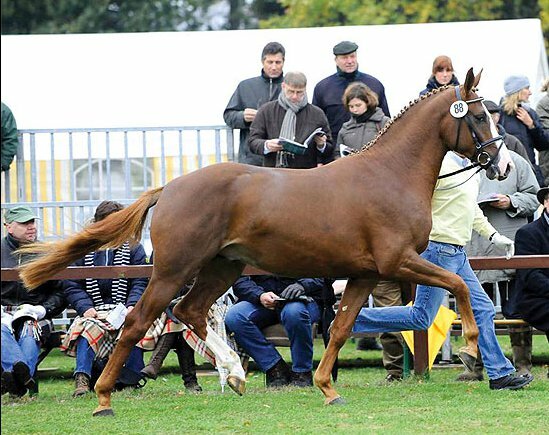 In addition the influential Warmblood Ramiro can found twice in his pedigree. 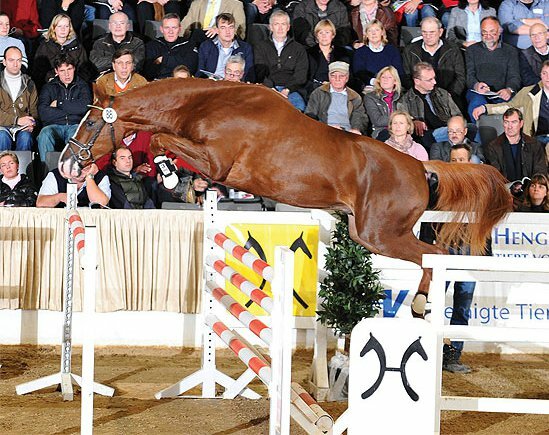 Quel Homme always produces top quality show jumping horses that are well recived at Verden auctions.